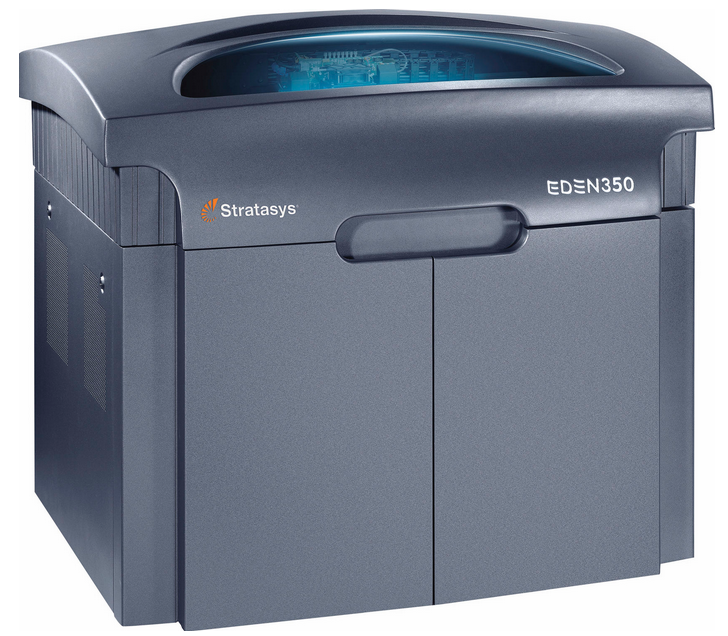 Objet 3D printers are a series created by Stratasys that use PolyJet 3D printing technology. The Objet printers use transparent or opaque-colored photopolymer material to create 3D printed parts, some of which that can be painted. Each printer in the series is designed for different printing needs. First, a 3D design is created in a 3D design program, saved as an STL file, and sent to the Objet printer’s interfacing software. The software slices the model into sections and determines how the part will print. Then, the 3D printer prints a layer of liquid photopolymer and cures the layer with ultraviolet (UV) light. Gel-like support materials are printed to support the part. The UV light hardens the layer and another layer is added. This process is repeated until the object is complete. The gel-like support material is easily removed by hand and with water.